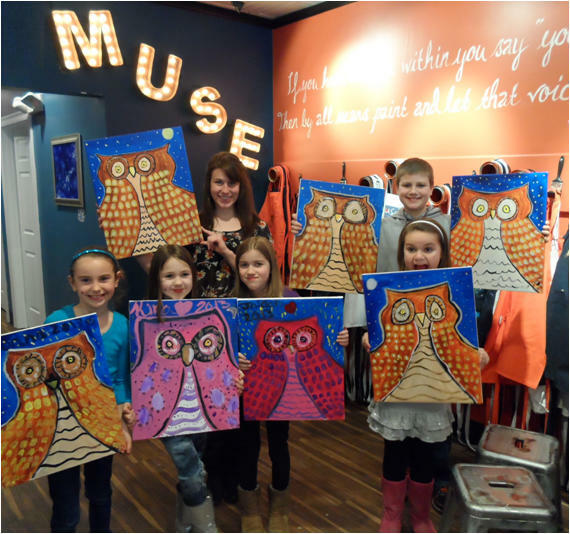 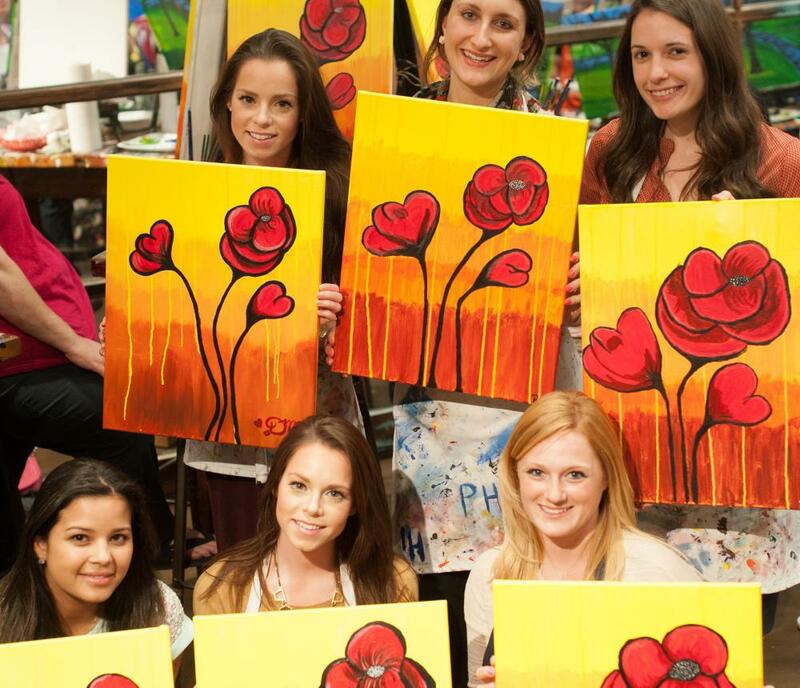 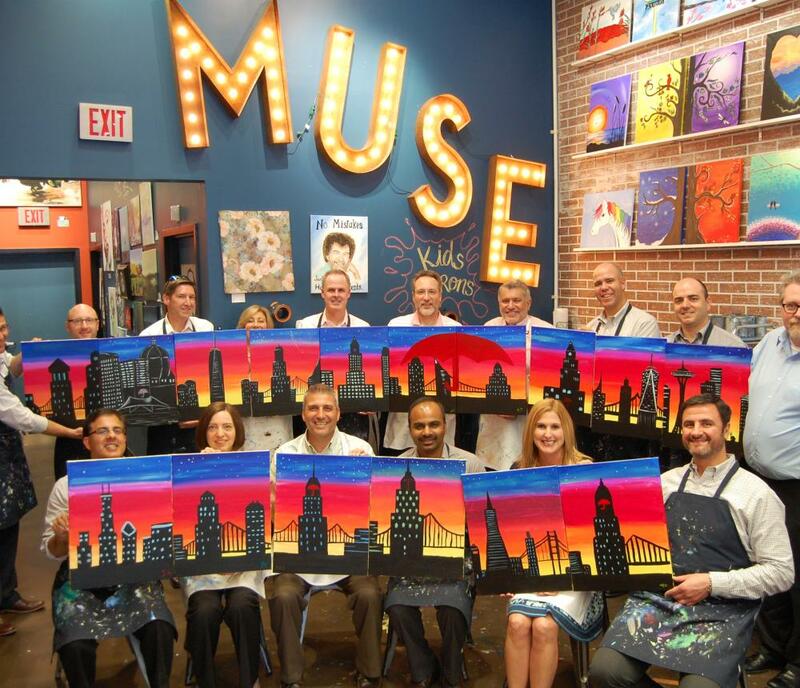 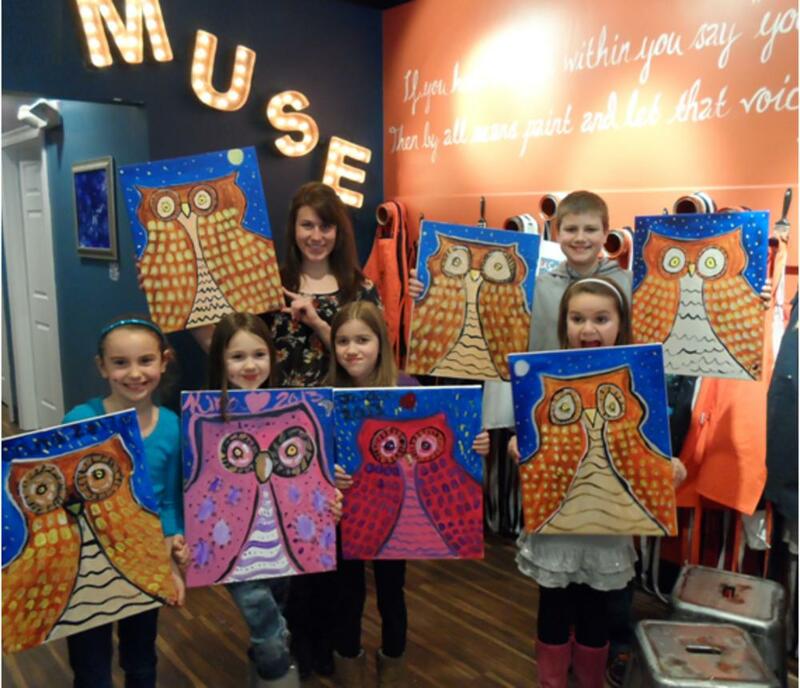 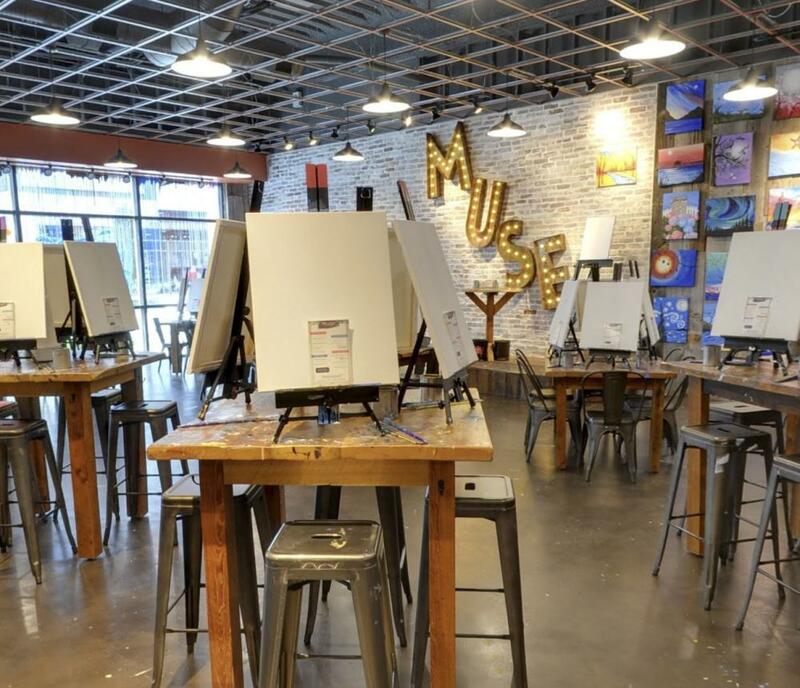 Muse Paintbar provides everything their clients need to create a colorful work of art—even inspiration. 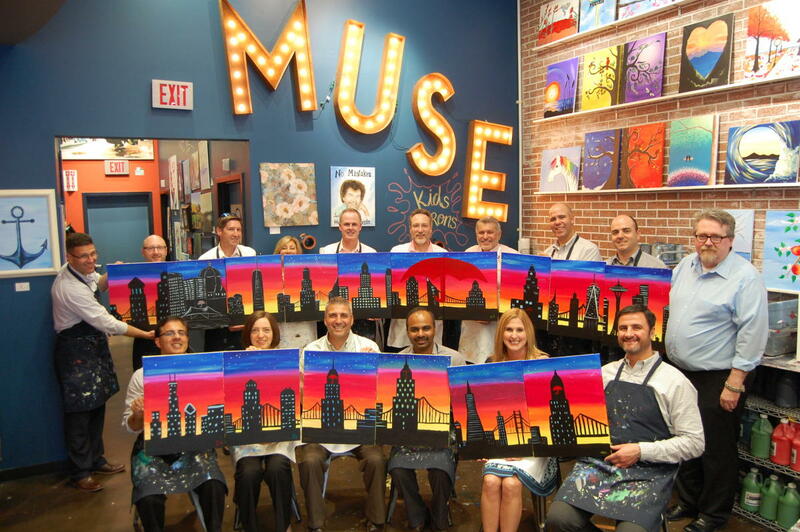 During sessions, artist-instructors guide participants step-by-step with a series of tips and tricks that will help them create that night's work of art, which they can take home at the end of the class. 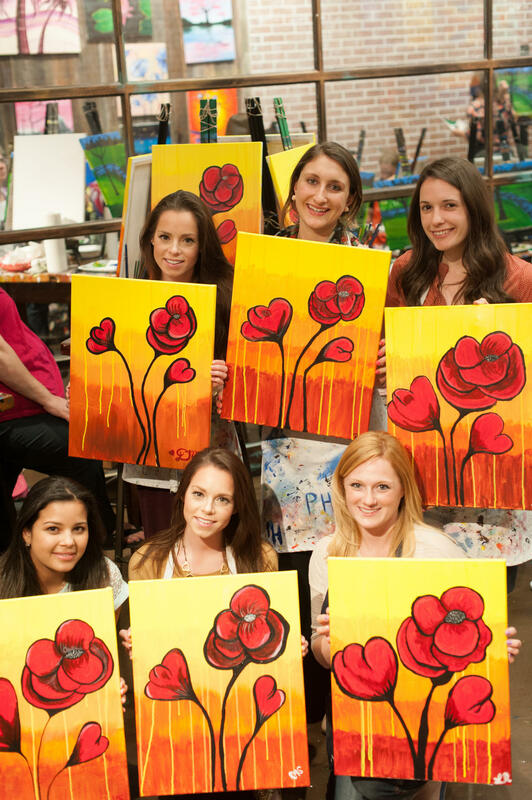 At the studio's kitchen and bar, painters can stock up on wine, beer, and eats to snack and sip during class.